On a chilly winter’s night, one thing to be thankful for is a central heating system in your home. Systems differ based on the type of fuel they use and on how they distribute heat throughout a home. They also differ when it comes to how effectively they heat a house. If you are considering upgrading your home’s heating system, understanding how the different types of systems differ and the pros and cons of each option will help you choose the heating system that is right for you. What Heating Options Are Available for a Home? Some heating systems are central systems, meaning they send heat throughout the house, usually through a series of ducts or pipes — depending on the type of distribution system. When you use a central heating system, you heat the entire house to the same temperature. Other options include space heating and supplemental systems. Space heating typically involves a portable electric heater, vented or vent free gas heater, or fireplace. When you use a space heater, only a small area gets heated. Some people like to use space heaters to supplement a central heating system, while others use space heaters because they only need to provide heat in a single area of their home, such as a sun room. A mini split system has flexibility to heat and cool and entire home or it can provide heat to a single zone or room, but it is not the same thing as a space heater. Mini split systems have a compressor located on the outside of a house that can connect to a variety of ducted, wall hung, or ceiling mounted air handling units on the inside of the house. While noisy window units have the compressor and air handler installed in each room that is heated, a mini split system locates the compressor outside of the home for quiet operation. When you have a mini split system installed, you have the option of setting the heat to one temperature in one room and a different temperature in another area. What Are the Types of Home Heating Systems? The majority of homes in the U.S. use a furnace to provide heat. Furnaces use a variety of fuels – such as heating oil, electricity, propane or natural gas – to heat homes. Furnaces use forced air to distribute heat throughout your house. Inside of a furnace, air is warmed up by the fuel source. A blower then pushes the warm air through a duct system and into various rooms of a house. Cooled air returns to the furnace through a separate series of ducts, known as a return. Relatively inexpensive cost. 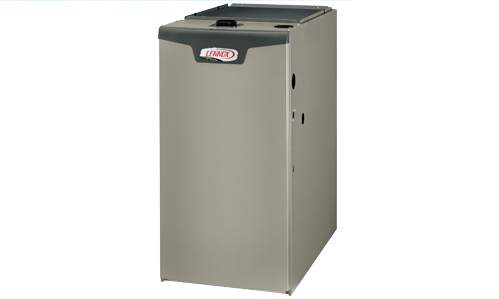 Although the price of a furnace can vary based on its efficiency and fuel source, they are generally less expensive than other heating systems. Long life. A furnace often has a life expectancy between 15 and 30 years. Can also provide cooling. By adding an air conditioner or heat pump, a forced air system can also perform double duty and cool a house down in the summer months. Can be very energy efficient. An older furnace may have an energy efficiency as low as 50-65%, but current regulations for newer models require efficiency between 80-99%. Noise. Some homeowners do not like the sound created by a forced air system. When the blower is on and actively blowing air through the ducts, it can be noisy, however newer furnaces are dramatically quieter due to recent advancements in blower technology. Requires ductwork. Forced air heating systems require ductwork throughout a home. Depending on the home, it might be difficult or expensive to install ductwork for a forced air system. Forced air can be dry. The colder air, the less moisture it can hold. In the winter when the air outside is cold and dry, the warm air that is pushed out of a furnace can lower the relative humidity, which can make the humidity in a home drop to uncomfortable levels. You can add humidifiers to help manage the issue. 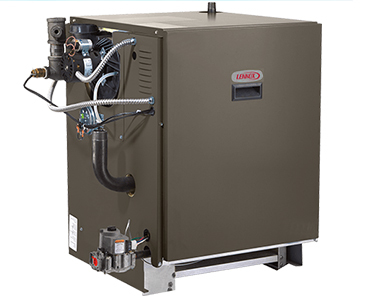 Boilers have a few things in common with furnaces and forced air systems. Like a furnace, a boiler can use a variety of fuels, such as electricity, natural gas, heating oil or propane. A boiler can also be very energy efficient, especially if it is a newer model. A significant difference between a boiler and a furnace is how they heat. While a furnace heats air and then distributes the warm air throughout a home through a series of ducts, a boiler heats water. The heated water or steam travels through the home via a series of pipes. The heat then seeps out into the house through convectors, cast iron radiators, baseboard radiators or even air handlers. Can be very energy efficient. While some older boilers are only 50% efficient, current regulatory standards require efficiency to exceed 80%. Some boilers have efficiency ratings above 95% and can provide domestic hot water too. Long life. Like furnaces, boilers often have a lifespan of 15 to 30 years. Even Heating. The radiators in a radiant heat system stay warm between heating cycles so there is usually less variation in temperature compared to a forced air system. With less air movement the home may feel less drafty. Allows for zone heating. With boiler heat, you may have some level of control over what areas of the home get heated when you install the proper zone controls. Can be expensive. Depending on the type of system and whether or not your home already has the piping and radiators needed for boiler heat, installing a boiler can be on the expensive side. There is a risk of pipes freezing. If you live in an area that sees freezing temperatures, there is a risk that the pipes that connect the boiler to the rest of the house will freeze if the boiler is shut off or does not maintain a minimum temperature. (Strike completely. All houses have pipes, and all will freeze if the heat shuts off. Only provides heat. While forced air systems can also cool a house down in the summer, a boiler heater can only heat your home. You will need a separate cooling system. Radiators can be an eye-sore. It is all a matter of taste, but some people do not like the look of radiators or baseboard radiators. In some cases, the positioning of the radiators in a house can make it challenging to arrange furniture. Indoor Air Quality. You cannot add an air cleaner or humidifier to this type of system. 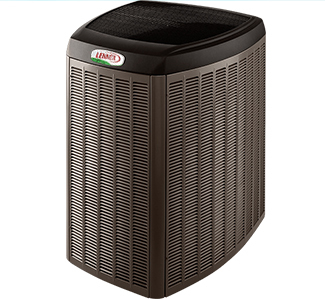 Heat pumps work by gathering heat from outside and releasing it inside during heating season. In the summer, it reverses direction to gather heat from the air inside of the home and discharge it outside. Two primary types of heat pump exist. Air-source heat pumps transfer warmth from the outside air into the house. Ground-source or geothermal heat pumps pull warmth from the ground or an underground water source. Air-source heat pumps are considerably more common than geothermal or ground-source heat pumps. Both geo thermal and air-source heat pump can be installed in a house with ductwork, in which case the heated air travels to the rooms of the house through ductwork. Ductless or split system heat pumps are also available. Very energy efficient. Heat pumps “move heat” rather than produce heat, which means they are considerably more efficient than other heating systems. Their energy efficiency can mean they cost about one-fourth the amount to operate than furnaces or boilers during mild heating conditions. In colder temps, they will need a supplemental heating system. Hybrid heating. Combining a heat pump with a fuel burning supplemental furnace may provide ultimate comfort and efficiency. Can heat and cool. In the winter, a heat pump can heat your home. In the summer, you can reverse the process and have the heat pump cool your house. During the summer, a heat pump will move hot air from inside of your house to the outside of your house. Ductless heat pumps offer easy installation. If you already have ductwork installed inside your house, switching from a furnace to a heat pump system does not require too much extra effort. Mini split systems, which do not require ductwork, are also relatively simple to install. Do not perform as well when outdoor temperatures are freezing. Since heat pumps work by moving warm air, they often cannot perform as well when the outside air is frigid, usually around freezing or below. For that reason, heat pumps are typically recommended for homes in moderate climates or for areas of a home that do not need to be heated throughout the winter. Installation can be expensive. Depending on the type of heat pump system, the cost to install it can be high, however, heat pumps usually have lower energy costs compared to other heating systems which help homeowners save money over time. What Is the Most Efficient Heating System for a Home? Heating systems have come a long way when it comes to energy efficiency. The furnaces and boilers you are likely to see for sale today are considerably more efficient than models produced a decade ago. Although today’s heating systems are much better at energy use than older models, systems still vary when it comes to how well they use energy. If you are trying to determine whether or not a particular furnace or boiler is energy efficient, one thing to look at is its annual fuel utilization efficiency (AFUE). AFUE compares the model’s efficiency at turning fuel into heat to the amount of fuel it uses annually. A boiler or furnace with an AFUE of 90 percent or higher is pretty energy efficient. Heat pumps use a different metric to measure efficiency, the heating seasonal performance factor (HSPF). HSPF is the ratio between the amount of heat needed during a season and the total energy used during the season. The most efficient heat pumps have a higher HSPF, usually at least 8.5. If it is time to replace your heating system with a newer, more energy-efficient model, SMO Energy can help. Our energy consultants will listen to your needs, evaluate your home and recommend the most appropriate heating system for you. We offer free in-home consultations. Get in touch today to schedule an appointment and to learn more about how to improve your home’s heating system.